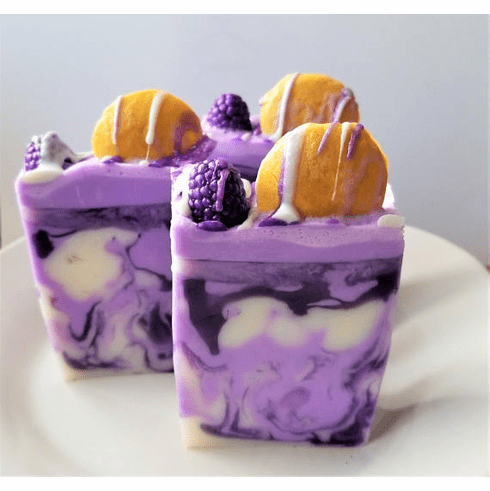 This soap is scented in an exquisite raspberry vanilla fragrance and is topped with one soap raspberry and one soap vanilla wafer. Made with extra almond oil, avocado oil, and grapeseed oil. Weighs approximately 6 ounces.